We provide guidance and independent advice on all aspects of property related finance. This includes residential and buy-to-let mortgages, commercial and bridging finance, and all areas of financial protection, including life assurance, critical illness cover, private medical insurance and income protection. Through introductions we are also able to assist clients with any overseas property finance, will writing, conveyancing and property survey requirements. There’s no substitute for sound advice, and that’s what you get at Keats Estate Agents in Hampshire, Surrey and Sussex. Keats Country is unique because each office has a principal in residence to help you with a wide variety of specialised services; sales, lettings, property management, probate and professional valuations, residential and commercial leases, rent reviews and lease renewals, commercial sales, lettings and structural surveys. Keats Country offers excellent coverage of some of the most desirable areas in the South of England – you will find us in the best locations in Haslemere, Liphook and Petersfield. There’s no substitute for experience, and we’ve been through all the booms and glooms of the property market. You can be sure that our sound reputation is built on the superior service we provide to our Clients. To us, quality counts and shows in everything we do. That’s why you’ll get a warm welcome in Keats Country. Taylor Hill & Bond estate agents in Wickham and Haslemere with many years of combined experience we are proud to provide our clients with the expert advice and tailored service they deserve. Our company culture is based around placing our clients’ needs first and at the same time offering a superior customer experience. We have a passion for excellence and seek to add value and exceed expectations at every opportunity. Tailored security packages for large and small sites, CCTV and alarm installation and monitoring, from award winning local company. Visit www.adpsecurity.co.uk or call us on 01730 261510. Recently voted as best hair salon & best customer service. We deliver a professional hairdressing service in a friendly and welcoming atmosphere. 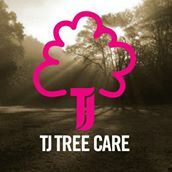 TJ Tree Care was started in 2010 to provide a professional tree care service to the residents of Surrey. Coaching independent sports teams , running children's parties and hosting holiday multi sports fun camps. We are a family-run business that has been working with local residents and businesses to transform their surroundings, renovate their view, whilst making the best use of their outdoor space We believe that the main reason we have been busy, via word of mouth referrals, is due to our friendly, honest and approachable work ethics combined with quality of workmanship and suitable material to suit everyone’s budget Below is a list of the main services we offer: •	Driveways •	Garden Design •	Grass Cutting •	Hard Landscaping •	Hedge Cutting •	Paths •	Patios •	Paver •	Retaining walls •	Turfing and lawn seeding If you require any other service or if you would like a free no obligation quotation, please call us. BC Construction Services Limited is a local based business which has over 35 years of experience and a covering a wide range of building projects. Offering a personal consultancy approach to each of our clients, our promise is to ensure our team of highly skilled professional tradesmen deliver the highest quality builds projects, be it large or small, contemporary or the restoration. 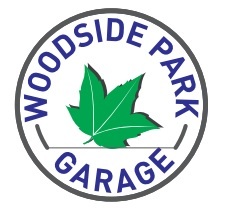 We'll take the stress out of your build with a full service, Project Managed approach. Unless of course you want to get your hands dirty too! We are a specialist Microsoft business intelligence company that believes in delivering higher quality, better value solutions with no nonsense. We bring innovation and insight to help our household name clients transform large volumes of data into meaningful information that lets them act smarter, move quicker and grow faster. Since opening our doors in December 2000 Headcase Barbers have pushed to restore the reputation and image of the traditional mens barbershop to what it once was, the cornerstone of society where families are made to feel comfortable and welcome, and where men of all ages know they'll get a professional and thorough service from people they trust.